A man of strong intellect and sturdy independence of character with a sincere interest in the welfare of the colonists he was chosen a colonial justice and also served as Chairman of the Committee on Safety for York County in 1774. 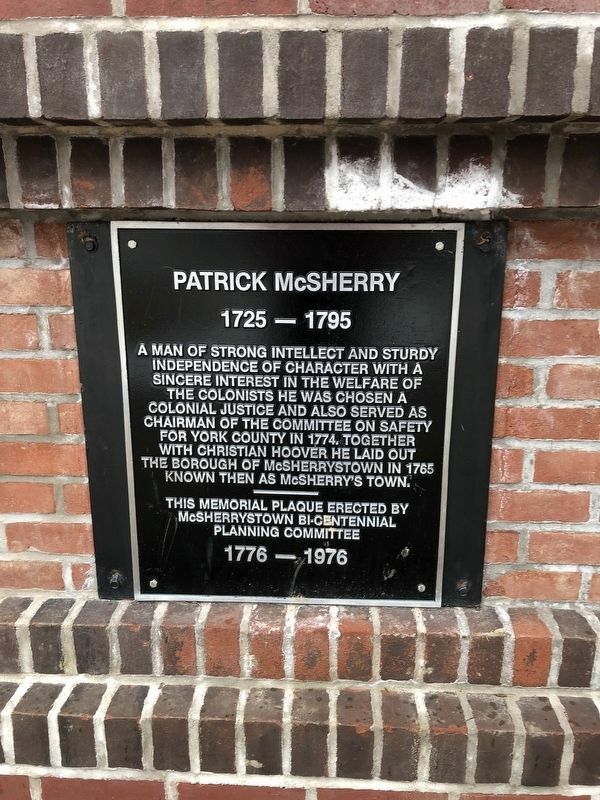 Together with Christian Hoover he laid out the borough of McSherrystown in 1765 known then as McSherry's Town. Location. 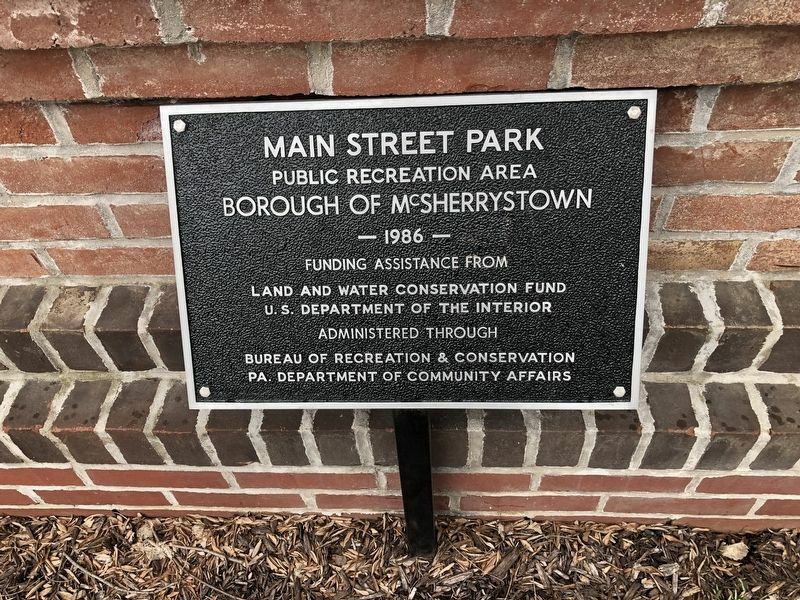 39° 48.211′ N, 77° 1.25′ W. Marker is in McSherrystown, Pennsylvania, in Adams County. Marker is on North Third Street north of Main Street (Route 116), on the right when traveling north. Touch for map. 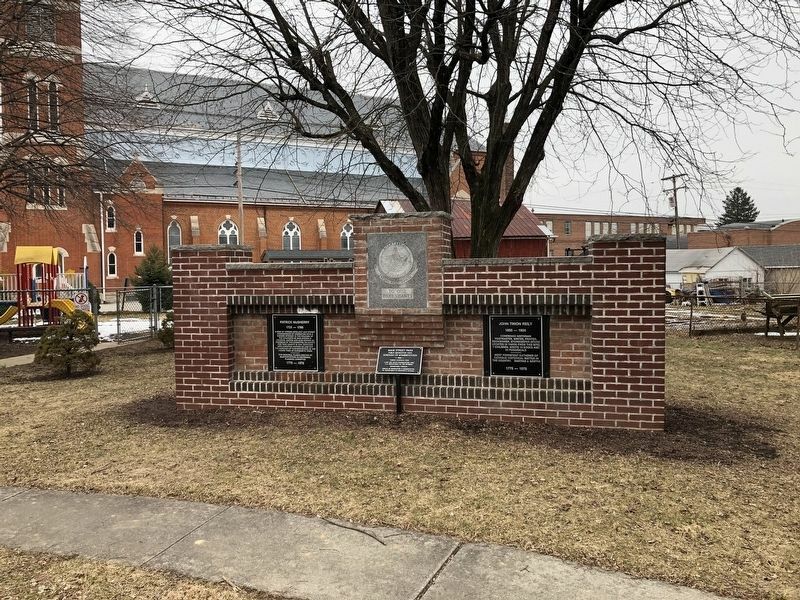 Marker is at or near this postal address: 307 Main Street, Mc Sherrystown PA 17344, United States of America. Touch for directions. (approx. 1.7 miles away); Gettysburg Campaign (approx. 1.7 miles away); J.E.B. Stuart's Jump (approx. 1.7 miles away); History of the Ten Commandments Monolith (approx. 1.8 miles away); The Winebrenner Tannery (approx. 1.8 miles away). More. Search the internet for Patrick McSherry. Credits. This page was last revised on February 26, 2019. This page originally submitted on February 24, 2019, by Devry Becker Jones of Washington, District of Columbia. This page has been viewed 21 times since then. Photos: 1, 2, 3. submitted on February 24, 2019, by Devry Becker Jones of Washington, District of Columbia. • Bill Pfingsten was the editor who published this page.